YaYa Wines & More is inspired by passion and the belief that sharing good wine with family and friends is one of life’s greatest pleasures. We offer a portfolio of great wines to those with refined taste, and gourmands alike. YaYa Wines & More is a privately owned company launched September of 2010. 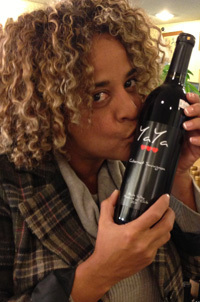 YaYa herself is connoisseur of great taste and good times who dreamed for years of creating her own wine label. The dream turned into reality due in part to meticulous research into finding the perfect vineyards from Chile and Italy to harvest the vision. Through partnership with these deserving wineries YaYa was fortified with the opportunity to be involved with the final blend where now a part of her is in each and every bottle. YaYa Wines are bottled with loving care and a toast to high quality. Like our slogan says we do not just wear a heart we have one too. We meant it! We proudly support local and National Charities. We here at YaYa Wine believe the act of helping others can create an improved sense of well-being. Knowing that you sacrificed something such as time, finances or product in order to help others in need can give you a sense of purpose in life or work and inner satisfaction. Our Chilean range contains a full-bodied Cabernet Sauvignon, a lively and fruity Sauvignon Blanc, a creamy yet delicate Chardonnay, and a soft, full-bodied Merlot. From our Italian portfolio you'll find a wonderful Pinot Grigio with intense bouquet of tropical fruit and citrus and our harmonious Prosecco with notes of apple, melon and honey suckle all of which herald from 100% varietal grape. YaYa’s wines can be purchased or sipped throughout selected wine outlets and is also available for online purchase. At YaYa Wine & More we've bottled our philosophy in the form of savory and memorable wines, but this couldn’t be accomplished without collaborating with our wine suppliers. Brotherhood Winery, the oldest Winery in The United States was the first winery to bottle our brand. This process was conducted under the watchful eye of Cesar Baeza. Cesar is a native of Chile and a graduate of The University of Chile earning a degree in Viticulture and Enology. In 1987, he created a partnership with a vineyard called Casa Patronales situated in Maule Valley, Chile. Casa Patronales is the vineyard that grows my grapes for my Chilean wine range: Cabernet Sauvignon, Chardonnay, Sauvignon Blanc and Merlot. The Wine People of Italy takes a holistic approach. They are in complete control of the entire production process, starting with careful management of the grapes, and meticulous winemaking by their own highly talented winemaker, Stefano Chioccioli who’s experience is second to none with respect to Italian Wines. 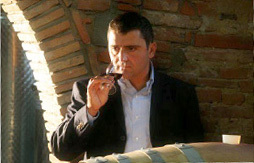 He has worked for wineries large and small in virtually every winemaking region of Italy and also has extensive international experience, making wines in France and Hungary. His wines have great success internationally. Both Robert Parker and The Wine Spectator have scored several of Chioccioli wines 100 points. They’ve been completely receptive to our needs and specifications in developing our custom brand to suit YaYa's requirements. TWP never wavered so that they can ensure there is a perfect balance between what each region has to offer and what we wanted for our Pinot Grigio and Prosecco. This winery would have never been possible to find without the assistance of Charlie Arturaola! 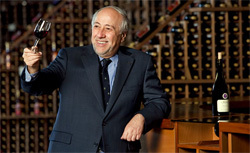 Charlie, was honored as the 2012 International Wine and Spirits Competition Communicator of the Year! "If I had add up the years of experience that assisted me along my Journey … the total would be approximately 70 years of knowledge, of know-how, and of practice." Insider info & special offers! !